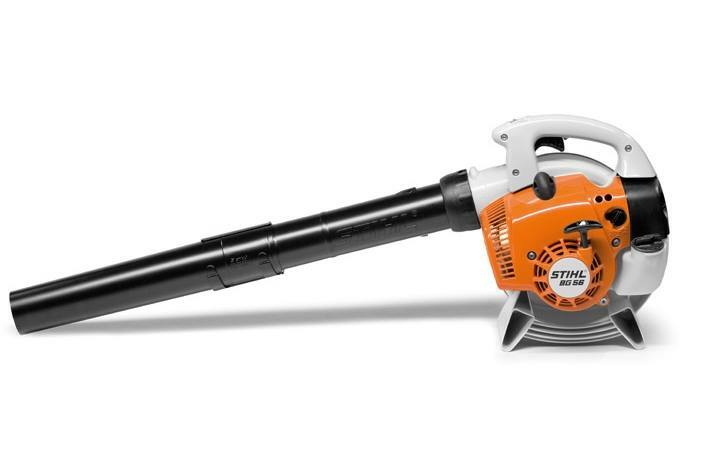 The BG 56 C-E handheld blower features the Easy2Start™ system for effortless starting every time, and is equipped with adjustable locking blower tubes and a round nozzle for increased air volume. Powered by a low emission engine, this unit is a great tool for clean-up tasks around the yard. Manual fuel pump (Purger): A small fuel pump delivers fuel to the carburettor at the touch of a button. This reduces the number of starting strokes required following extended breaks in operations. 1) As per ANSI 175.2 standard 2) Newton is the force needed to accelerate 1 kg of mass at the rate of 1 m/sec2. 3) without fuel, complete 4) with tube at nozzle end The version(s) available in each country may differ from the above range and specifications; specific details may be subject to change without notice. Please ask your local STIHL Approved Dealer for further information.